Are you studying in 10th standard? Have you completed 10th standard? If yes, this article will be of help to you! Here, I’ve listed down some of the best courses after 10th. 10th standard is a very important point in a student’s life. In India, it is usually after 10th that most students start thinking seriously about career, professional courses and other high stake decisions! 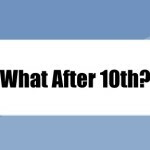 Taking up a job right after 10th is not something that I recommend to my readers! If you aren’t facing financial/other difficulties, you should continue education after completing 10th! So don’t run after a job right after 10th, unless it is unavoidable! Because if you look to get hired after 10th, you’ll end up landing an entry level job with low salary. Otherwise you should try to land a Government job after 10th (Army, Navy, Railways etc). I think this is the best step one can take after 10th! Choosing the right stream and subjects can be tricky. But in the end, the effort will be truly worth it! Students may use an aptitude test to choose an appropriate stream and select the right set of subjects. Apart from that, they may also seek help from parents, teachers or friends. A career counseling session with a qualified professional will also prove very beneficial! In the end, a student must focus on his strengths, passion and interest. Based on these factors, he/she must select an appropriate stream after 10th! Let us take a look at each stream. In the next sections, we will find out more details about each stream – subjects, curriculum and professional courses available after completing schooling. Note: Among the above mentioned subjects, the main ones are- Economics, English, Business Studies and Economics. Other subjects are optional ones. Availability of optional subject may vary from one educational board to another as well as from one state board to another. Few more optional subjects are- regional languages, physical education, multimedia, fine arts etc. I highly suggest my readers to keep mathematics subject. Mathematics is one such subject that will come handy while pursuing professional courses like CA (Chartered Accountancy) training, CS (Company Secretaryship) training, Economics etc. Last comes State Boards. Each State in India has its own education board. It functions under the respective State Governments of each state. Language of instruction (medium) in case of schools affiliated to such boards are- regional language and English. These groups, to an extent, ends up determining the career path of a student! A student may choose any one of the above mentioned groups or pursue both of them at the same time. The choice has to be made by the student. The mathematics group is generally known as the A group and biology group is known as B group. Students pursuing both groups may identify themselves as AB group students. Let us now focus on the important subjects present in science stream schooling. Among the above mentioned subjects, Physics, Chemistry, English and Mathematics/Biology are compulsory subjects. Students have to choose an optional subject other than them. Usually, availability of such optional subjects may vary from one board to another and from one state board to another. Usually, the optional subjects are- computer science, Sanskrit, regional languages etc. These academic programs are 4 years long. The course content is technical in nature. The academic program consists of classroom lectures and practical sessions. Integrated programs combine both Bachelor’s as well as Master’s Degree Engineering programs. The course duration is 5 years. Apart from Degree in Engineering, PCM students also have access to Diploma in Engineering programs. Diploma courses are 3 years long. Note: After completing Diploma course, candidates may secure admission directly into the second year of B.E. or B.Tech. program! This scheme is known as lateral entry. Bachelor of Architecture is a very popular choice among PCM students. It is a 5 years long academic program. The academic program consists of classroom lectures and practical sessions. If you want to become an Architect, this course will be of help to you! B.Des. stands for Bachelor of Design. PCM students have wide variety of B.Des. courses to choose from. If you are creative and want your career to involve creativity, this academic program could be of help to you. PCM students are also eligible to pursue Bachelor of Pharmacy course. Though it is generally considered to be a medical stream course, mathematics group students are also eligible to pursue it! The academic program is 4 years long. If you want to become a pharmacist, this professional course will be of help to you! Mathematics group students have access to numerous B.Sc. courses. These academic programs are 3 years long, when it comes to duration. It is probably the most popular medical course available in India. MBBS course is 5½ years long. The academic program is 4½ year long. At the end, there’s a 1 year long internship program. MBBS is the minimum qualification required to practice as a Doctor in India. BDS stands for Bachelor of Dental Surgery. To become a Dentist, one must complete this academic program. This course is 5 years long (including internship). This course will help you become a Registered Nurse (RN)! The course duration is 3-4 years. The academic program consists of classroom lectures and practical training. B.Pharm. Degree will help you become a licensed chemist in India. The course duration is 4 years. The course primarily focuses on subjects like pharmacy, chemistry, biology and healthcare. Pharm D and B.Pharm. are two different courses! Pharm D course stands for Doctor of Pharmacy. It is more advanced than B.Pharm. course! The course duration is 6 years. BAMS stands for Bachelor of Ayurvedic Medicine and Surgery. Unlike MBBS, this course focuses on concepts of Ayurveda and Ayurvedic medicine. After completing this course, one will earn the title of Doctor (Ayurveda). The course is 5½ years long. BUMS stands for Bachelor of Unani Medicine and Surgery. This discipline aims at treating patients using the Unani system of healing. The course is 5½ years long. BPT stands for Bachelor of Physiotherapy. This discipline uses massages, exercises and movement of muscles to treat patients who are have suffered injuries from accidents or are recovering from surgeries. The course is 4½ years long. This course is popularly known as Bachelor of Veterinary Science and Animal Husbandry. This discipline focuses on the use of biology and technology to treat and prevent diseases occurring in animals. The course is 5 years long. BOT course focuses on Occupational Therapy. This discipline is all about using exercises, training, aiding devices, environmental adaptation and equipment to treat patients suffering from physical, mental, emotional and neurological limitations. The course is 4½ years long. This course focuses on subjects such as – audiology, hearing disorders, auditory systems and speech language therapy. The course is 5 years long (including the internship). Instead of taking up a job or 11th and 12th schooling, some students opt for Diploma programs! It is not uncommon to see 10th passed students seeking admission to Polytechnic Colleges for pursuing Diploma in Engineering programs! Diploma in Engineering programs are also technical courses. These courses are 3 years long. Unlike B.E. or B.Tech. programs, Diploma courses can be pursued after completing 10th! After completing Diploma in Engineering program, candidates may secure admission directly into the second year of B.E. or B.Tech. program. This process is called lateral entry. After matriculation, some students choose to undergo vocational and technical training. ITIs (Industrial Training Institutes) in India are known to provide quality technical and vocational training to students. Check out this section for details on ITI courses and colleges – ITI courses in India. D.Voc. : It stands for Diploma in Vocation. It is a Diploma certificate vocational training program. The training program is three years long. Students who have passed 10th class are eligible to apply for admission. This skill development course is aimed at developing industry-specific skills among candidates. Domain skilling courses: Like D.Voc., domain skilling programs too are vocational training courses. Students who have passed 10th class are eligible to pursue most of these courses. Course duration depends upon the level of difficulty associated with it. Skill development programs: There also exists other types of skill development programs. National skill development programs, Industrial skill development programs, trade-specific skill development programs – these are some such courses. At their core, these are certification programs.